After 20 years in business, Dave and I think we have hit upon the best way to do trial lessons. Before I outline what we do, I will say what we don’t do and why. All of what we DON’T do, we DID do for years. BUT we changed to our current system 5 years ago and haven’t gone back. • It disrupts the class. My responsibility is first and foremost to my paying students. When a trial lesson student joins in, the lesson is disrupted as you accommodate the new student. And of course, if Mom brings younger siblings, your lesson can be VERY disrupted. • without a level check, you have no idea of the child’s level and the child can try a lesson that is too easy or too difficult. • And finally : WHATEVER class the trial student joins, the Mom will think it is TOO EASY or TOO DIFFICULT for their child (even if it is actually the perfect level). And even if you explain that wehave lots of lessons and of course, we have a lesson to fit their child, they often are not interested after seeing the 1 lesson. • again, it disrupts the lesson. • we want students to hit the ground running. Learning and Leveling up. If they are not even sure if they are in the lesson or not, how can they fully participate, doing weekly homework, wanting to challenge themselves? • New students call and I get information from the Mom: Name, Age, What experience with English they have had (as detailed as possible), and then I sign them up for a trial lesson. • even though you have screened with the experience question, 1 child can really throw off the entire trial if they are not actually beginner and the other Moms think, oh this is too difficult because 1 child is answering everything and their child is answering nothing. With 4 kids, I can usually control the situation, explaining that there are 2 different levels and that we would recommend 2 different classes: one for the beginners and one for the child who has studied before. 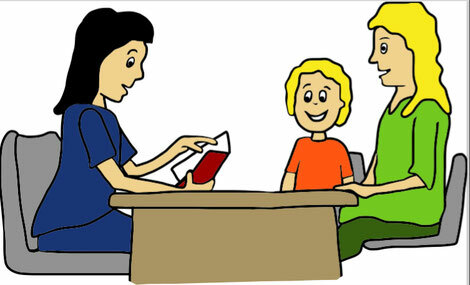 • In the level check I check the child’s speaking, reading and writing levels. • When I know the child’s level, then I can do a lesson for their level, showing what we would normally do in the lesson. * Greet the child/ parents warmly and direct them where to sit // put their bags. * Give them a list of lessons that they can join after the trial. Include on the list how many spaces in the class are available (1 space left—-better join now) Showing parents the list before the trial is super important. Have the parents thinking straight away about what day/ time they want to join. Many times, parents have already decided they want to join our school and when I give them the list, they say (before they trial has begun), Airi will join the Monday 4:00. And if they don’t already know which class they want, then they can be thinking during the trial when is good. • Do a mini lesson. • Explain what I am doing and why in Japanese as I do the trial lesson. I want the Moms and Dads to know the reasoning behind why we do what we do—-basically the philosophies of your school. Of course, I begin the trial lesson by saying—-in normal lessons, there is no Japanese, but for the sake of the parents, I will explain what we do and why in Japanese. • Finish, ask any questions and explain about joining. You can join today. This month’s fee is ____. From next month will be _____. • Give joiners bags, books, homework…..
• I meet every new student. • All Moms/ Dads know how we teach and why. They help us by employing the same philosophies at home during homework time. We don’t offer discounts for joining on the day. I want students joining because they want to join, not because they feel pressured to make a decision. I find 90% of trial lesson students sign up anyway. Most do sign up on the day, but a few will think about it and call in the next week.